We still have school places available – please contact us for a tour. Welcome to Kirtlington C of E Primary School. We are a small, village school passionate about inspiring children to become highly successful, independent learners. Through our curriculum, we seek to create opportunities to engage, motivate and equip our pupils with the skills, knowledge and understanding that will enable them to become lifelong learners in the 21st Century. 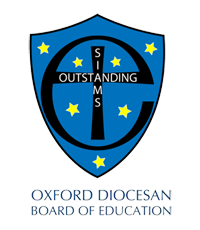 We are an inclusive school with Christian values at the heart of everything we do and keen to develop in every child a rich appreciation and understanding of the modern world.